Readers more than anything want to feel what we’re feeling when we put our hearts into a story. Whether it’s heartbreak, humour, revenge, sorrow…etc. And sometimes listening to the right kind of music, a certain song that pushes my heart to its limit, can transfer over to my writing. So when I was writing A Spy Like Me, I took into account that this was a fun, suspenseful story. I listened to Taylor Swift a lot. Her teenage voice and lyrics pumped into my ears while the story poured out through my fingertips. And it really helped lift my mood and emotions to where they needed to be. A Spy Like Me is about change. Seventeen-year-old Savvy is uprooted from her home and moved to Paris, France. She lives with her dad and misses her mom. But sometimes change is what we need to find the answers. And that holds true for Savvy. Here’s Taylor’s song, Change. One of many I listened to. The whole story, Savvy fights for knowledge. She’s tired of the lies and strikes out to find the truth…by – you guessed it – spying! But through the chaos and danger, sometimes, she wouldn’t mind going back to before it all began, when her mom lived at home and they were a family. Here’s Taylor’s song, Back to December. That’s just the start. But I’ll stop there. Just watching these videos and listening to the tones and the themes give me goose bumps. Like they were written for Savvy and what she’s experiencing. Why did Adele win the Grammy? She was just singing a song about a guy breaking up with her and wishing him the best. There are countless songs like that from the past, in the present and in the future. But her big time emotion transferred to her audience. The incredible unique voice helps too. Listen to Adele sharing about Someone Like You and singing it in her home. Incredible. In all my writing, whether a fun spy adventure in Paris or not, I strive for that emotion to come across on the page and to my readers. I will work toward that every time I sit down to write. And I’ll keep doing it. It’s funny. I accepted Roz’s invitation to guest post on this series but waited days to write it. I knew what I wanted to say but I wasn’t sure how to approach it. It wasn’t until tonight, watching American Idol and hearing Randy say, ‘transference of emotion’ that it all came together. Why I listen to music when I write (not when I edit). Why I find songs that fit the tone and style of my writing. And why as a writer I learn so much about storytelling from listening to a heartfelt song. Thanks for having me, Roz. It’s an honour. 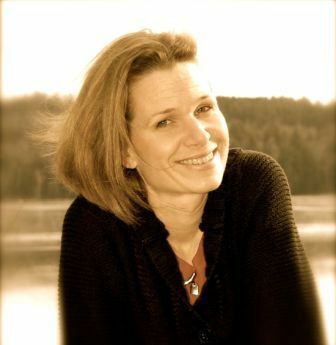 Laura Pauling writes about spies, murder and mystery. 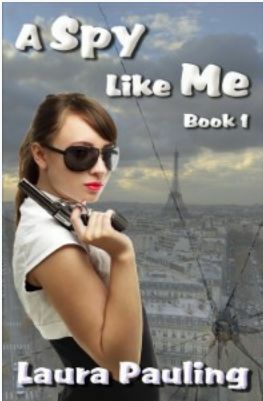 Her debut novel, A Spy Like Me, is available at Amazon, Barnes & Noble, and Smashwords and her blog is here. Visit her blog before May 25 for a Spies, Murder and Mystery Marathon with guest posts and free giveaways.